Stephenson has been director of sales for Nine Network since 2011 and most recently was director of sales for NEC. Prior to Nine, he was director of sales for Ninemsn and held various roles and Seven and Ten during a 20-year career in broadcast and digital sales. "We are well progressed on the development of new technology which will fundamentally change the way we connect brands with our audiences through our content. It’s an exciting time to be at NEC as we focus on using creativity, data and technology to build more meaningful connections for advertisers across all of our Broadcast and Digital assets," Stephenson says. Nine's chief revenue officer Peter Wiltshire steps down. 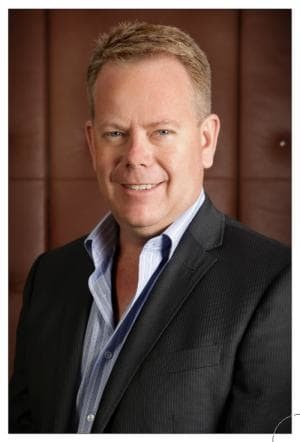 Peter Wiltshire has stood down as chief revenue officer of Nine Entertainment Co (NEC) and will be replaced by Michael Stephenson, who steps up to chief sales officer, effective today. Witshire has been at Nine for 10 years and says he will take a break after 27 years in the industry. "There have been some extraordinary corporate challenges, and significant changes in the consumer and media landscape, and I believe we have positioned NEC to be ready to tackle the next phase of the journey," he says. "I’ve worked with some inspiring people along the way and I’m really proud of the team I’ve had the opportunity to lead over the years. It’s time for me to enjoy a break after 27 years of tenure in an industry I remain deeply passionate about." Nine CEO Hugh Marks paid tribute to Wiltshire's work guiding Nine through a difficult period, including helping the company avoid administration. "I want to personally thank Peter for his leadership of the NEC sales team and his broader contribution to the executive team over the past ten years," Marks says.